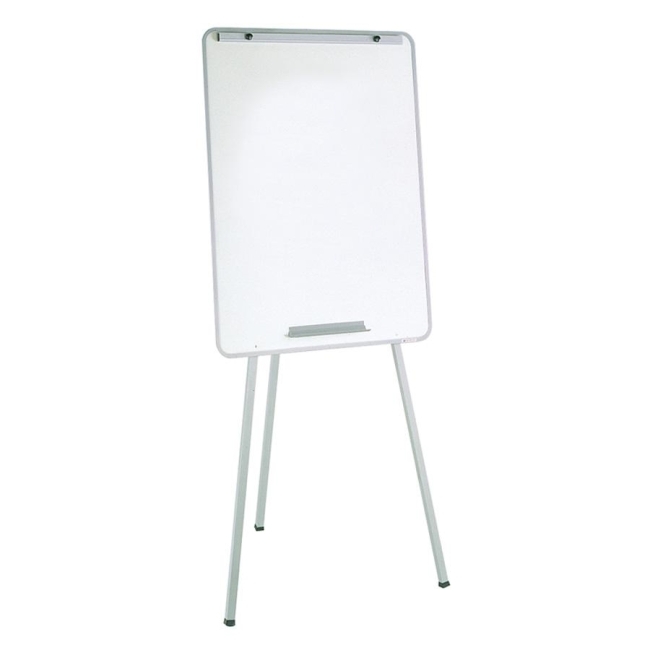 Dry-erase easel offers a gray dry-erase melamine surface with flip-chart pad retainer. Ideal for any light-use environment. Built-in 10" marker tray conveniently stores markers for easy access during presentations. Easel offers a gray finish and radius-edge steel frame and includes flip chart retainer. Board measures 29" x 40". 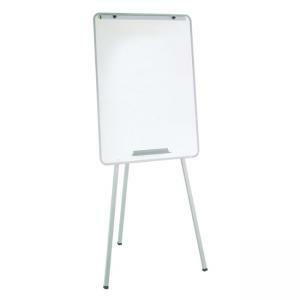 Pad retainer accommodates a 27" x 34" flip-chart pad.